Inuvik, NT, Canada — It’s a good food (and news!) story. The Inuvik Community Greenhouse is pleased to announce that we have joined Community Food Centres Canada’s Good Food Organizations program to showcase our commitment to offering impactful community food programs based in principles of health, empowerment, and respect. With over 130 other Good Food Organizations and eight Community Food Centres across the country, we are working toward a healthy and fair food system. Launched in 2014, the Good Food Organizations program offers access to tools and resources, customized training, attendance at an annual conference, and chances to network and promote shared priorities. By working together through a set of shared principles, this important initiative connects the Inuvik Community Greenhouse to like-minded and progressive organizations across the country that are using food to tackle problems of poor health, inequality, hunger, and poverty. 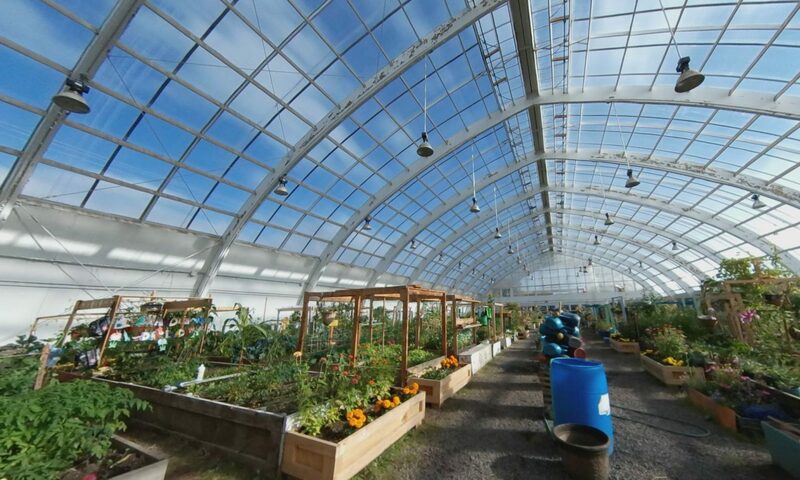 2018 is the Inuvik Community Greenhouse’s 20th year in operation, and 2019 will be the 20th growing season. What a perfect time to really look at our mandate of “building community through gardening”. We are proud of all we have accomplished in the last 20 years, but we can always do more! Last year, we started a new initiative, in which we empowered our northern neighbours to work on their own growing power, and produce their own local food. We are excited to expand that program next year, and see more local growers producing high quality, locally grown, fresh produce! We wanted to become a Good Food Organization to become a part of a network of people who are passionate about food security, and real solutions for those who are trying to feed their families in a sustainable, nutritious and culturally appropriate way. The Good Food Organizations program is offered by Community Food Centres Canada (CFCC). CFCC builds health, belonging, and social justice in low-income communities across Canada through the power of food. CFCC also works with the broader food movement to build greater capacity for impact and to empower communities to work toward a healthy and fair food system. For more information, visit www.cfccanada.ca or follow @aplaceforfood.